Latin America’s startup scene had a busy month of September, with a flurry of deal announcements and corporate launches. Here’s a recap of the news you don’t want to miss. eBay launched its app eBay Fashion in Brazil, making it the first eBay-branded product in the country. The company also confirmed that its platform would soon be translated into Brazilian Portuguese, which hints at an upcoming Latin American push. In other news, The Huffington Post announced that Brazil’s giant media conglomerate Abril Group will be its partner to launch a Brazilian version of its online media outlet. Current international editions already include the UK, Canada, France, Spain, Italy, Maghreb, and Japan. Buzzfeed is also gearing up for the launch of its version in Brazilian Portuguese, and editor-in-chief Ben Smith used Twitter to announce his first hire for “Buzzfeed Brasil”, New York-based social media strategist Conz Preti. Spotify launched its service in Argentina as part of a rollout that also included Taiwan, Greece and Turkey. The music service seems keen to grow in Latin America; it had first launched in Mexico last April, and its expansion into Brazil is rumored to be imminent. Private car service Uber launched its app in Bogotá, the second Latin America after Mexico City in which it expanded its presence. Its first local passenger was Mejorando.la’s co-founder Freddy Vega. Ticketing platform Eventbrite bought its Argentine counterpart Eventioz, alongside UK-based Lanyrd. In 2011, we listed Eventioz as one of the top Latin American startups to watch out for. Following the deal, Eventioz’s team is becoming a part of Eventbrite, where its know-how is set to boost to the company’s growth in Latin America. Venue recommendation platform Yumbling was acquired by Grupo Expansión (GEx), one of Mexico’s largest media groups. The platform was shut down following the deal, but Yumbling’s team wrote a letter to users promising that their content (including reviews, pictures and connections) will be available in the upcoming version, to be relaunched under GEx’s umbrella. Argentine online food delivery platform Sinimanes is merging with its Mexican counterpart SeMeAntoja to further boost their growth across Latin America. The two companies have jointly raised a new round of funding from NXTP Labs and 500 Startups, whose acceleration programs they had respectively completed. Chilean service comparison startup ComparaOnline raised $11 million in a Series B round of funding led by Ribbit Capital, with participation from Endeavor Catalyst, Rise Capital and its Series A backer Kaszek Ventures. This brings the company’s total funding to $16 million, which it is using to position itself as the leading insurance and financial services marketplace website in Latin America. Fellow Rocket-backed Hellofood bought online food ordering service Peixe Urbano Delivery. As PulsoSocial pointed out, this was Hellofood’s third Brazilian acquisition in just four weeks, following its takeover of Jánamesa and MegaMenu. While this confirms that the food delivery space is heating up, it also makes us wonder if Peixe Urbano is still planning to bet on diversification. Goodbye growth capital, hello seed capital? 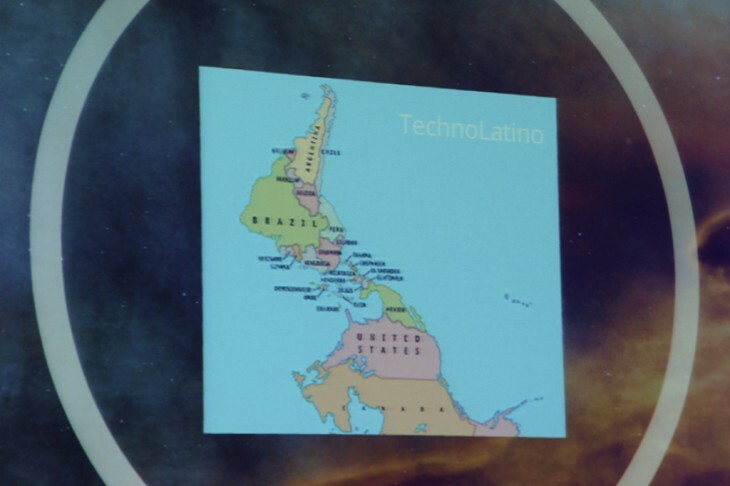 Sequoia Capital pulled back from Latin America, DealBook reported last month. While the fund’s quiet entry into the region had made headlines last year, it was reportedly frustrated by the scarcity of deal flow for growth-stage investment. On the other hand, the number of available early-stage funding opportunities for Latin American entrepreneurs seems to keep on growing. Earlier this month, Manos Accelerator revealed the names of the first batch of startups it will accelerate. As you may know, this new program is based in Silicon Valley and targets Latino entrepreneurs. Five out of the seven companies in its first class also happen to have at least one female founder. The initiative is supported by Google for Entrepreneurs, and its Demo Day will take place at Google’s Mountain View headquarters in late November. Telefónica’s accelerator Wayra announced that its upcoming Global Demo Day will simultaneously take place in London, São Paulo and San Francisco on November 14. Its current global call for applications will remain open until October 20, with vacancies in several of its Academies in Latin America. Wayra also expanded its agreement with MercadoLibre, with whom it had already teamed up in Argentina. Their partnership will now reach Brazil, Colombia and Mexico, with MercadoLibre providing dedicated funding and support to Wayra-backed startups serving its platforms and APIs. After three years away from social media, Brazilian President Dilma Rousseff recently made her comeback on Twitter and announced the upcoming launch of her official Instagram and Facebook profiles. A couple of her latest tweets referred to the widening rift between Brazil and the US regarding privacy following Edward Snowden’s revelations on foreign surveillance. These included allegations that the National Security Agency (NSA) spied on communications between the Brazilian President and her staff. In addition, the Brazilian government is floating threats to force global Internet companies to set up data centers in Brazil. It is still unclear whether it is feasible to get them to comply, and more importantly whether it would be enough to prevent communications from being snooped on. However, the saga is anything but over, as Gradiente’s parent company confirmed it would appeal the decision. We will keep you posted on further developments.